Touchdown! 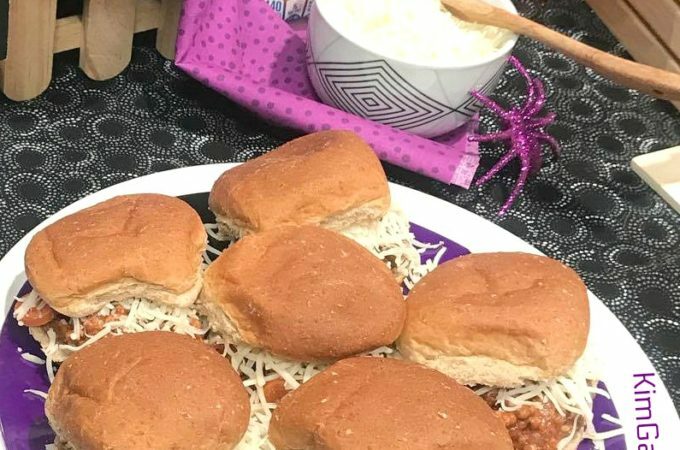 All these fall favorites – apples, pumpkin, sweet potatoes, chili, cornbread – score big time at your next celebration or tailgate party. 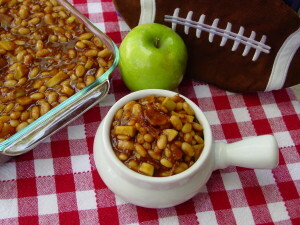 Intercept ho-hum tailgate sides with a batch of Maple Apple Baked Beans. 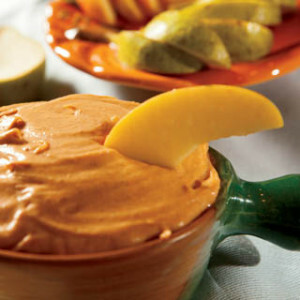 Pass the apple and pear slices for my Pumpkin Cheesecake Dip. 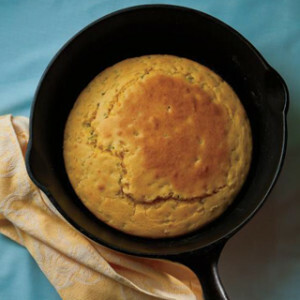 Huddle for more whole grains with my Skillet Cornbread. And tackle that bag of apples you bought by turning them into Homemade Chunky Applesauce. 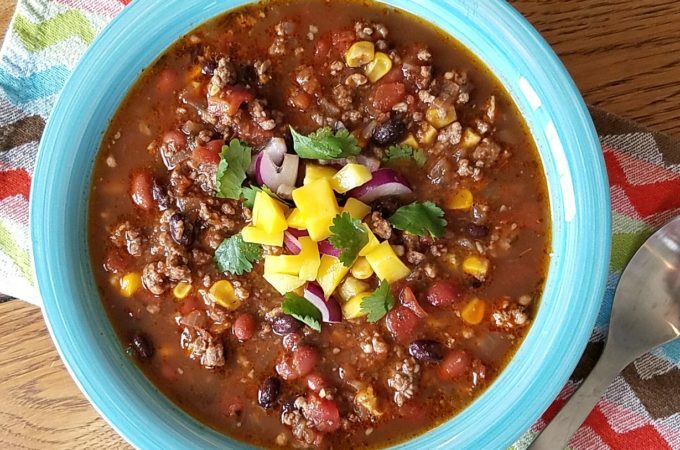 Forward pass to my Recipe page for all four recipes and get in the game with great taste and good health for your tailgate party! Heat oven to 400°F. Add butter to skillet and place in oven to completely melt. In a large bowl, whisk together corn meal, flours, salt, baking powder, baking soda and sugar. In a smaller bowl, whisk together eggs, buttermilk and corn oil. Add liquid mixture to dry ingredients and stir just until combined with a wooden spoon. Carefully remove hot skillet from oven and spread cornbread batter evenly in skillet. Cook 15 to 18 minutes, until toothpick inserted in middle comes out clean or with just a smidgen of crumb. Immediately after removing from oven, rub top and edges with butter stick, melting it as you rub. Do this several times! Makes 8-10 pieces. *A 10-inch skillet that is 10-inches across the bottom and 12-inches across the top rim. Find wholegrain cornmeal right near the other cornmeal and flour. Always store it in the fridge to keep it fresher. Corn oil is exactly the same calories and fat grams as other oils, and it works great for any baking, including corn bread, corn muffins and corn pudding. Lately I’ve been using full-fat buttermilk in my cornbread, but low-fat works well too. Peel, core and cut apples into 1-inch chunks. In a 4 to 5 quart saucepan over medium-high heat, combine apple chunks, apple juice, sugar, lemon and orange juices, zests, allspice and 1 teaspoon cinnamon. Bring to a boil, then reduce heat, cover and simmer, stirring occasionally, until apples are tender, about 30 to 35 minutes. Remove from heat and stir in remaining desired cinnamon. Using a fork, wooden spoon or potato masher, mash apples slightly, leaving some chunks. Refrigerate in tightly covered container. Kim likes a less sweet applesauce, Jeff likes it sweeter! I use at least ⅓ cup brown sugar when I’m making a big batch for Jeff’s lunches. 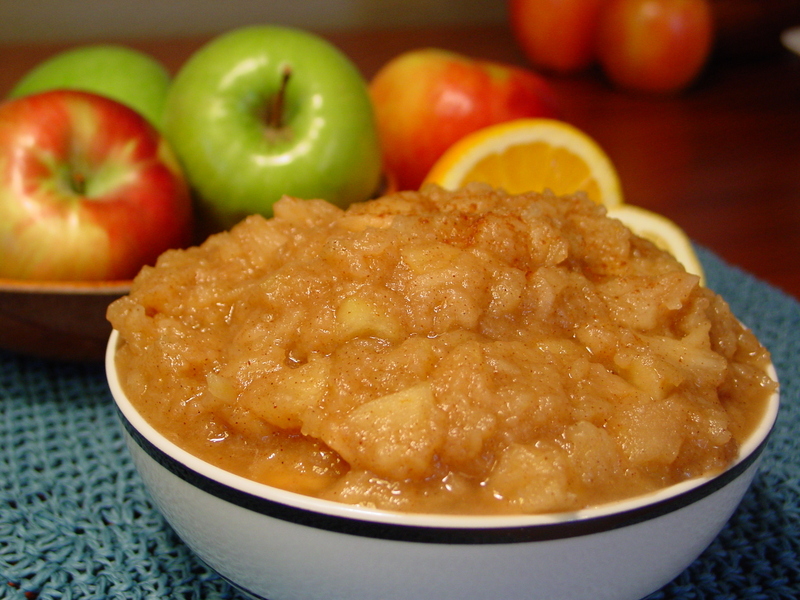 Use more or less spices and zests depending on how you like your applesauce. Best apples include Gala, Golden Delicious, Granny Smith, McIntosh….just about anything other than red delicious. Combine all ingredients in a food processor until blended. Enjoy immediately or chill one hour before serving. Serve with thickly sliced apples and pears. I normally make a double batch for parties or get-togethers. Use 2 cans (15 oz. each) rather than 1 big 29 oz. can. Use as much or little of the spices as you want! If you don’t have time to slice pears and apples, just use gingersnaps, vanilla wafers or graham crackers. Even shortbread cookies. Kroger’s new Roasted Bacon that only takes 2-4 minutes is an absolute timesaver for this recipe! Just look for boxes of it in near the refrigerated bacon. Definitely use hickory barbecue sauce to compliment the maple syrup. Tarter apples, like Granny Smith, really help balance the sweet maple syrup.